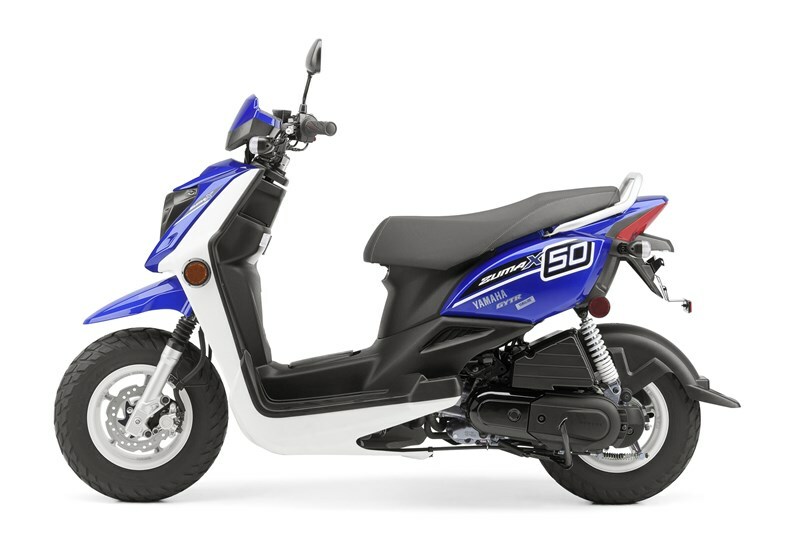 This super sporty 4-stroke scooter makes going places fun, even commuting to work or school. 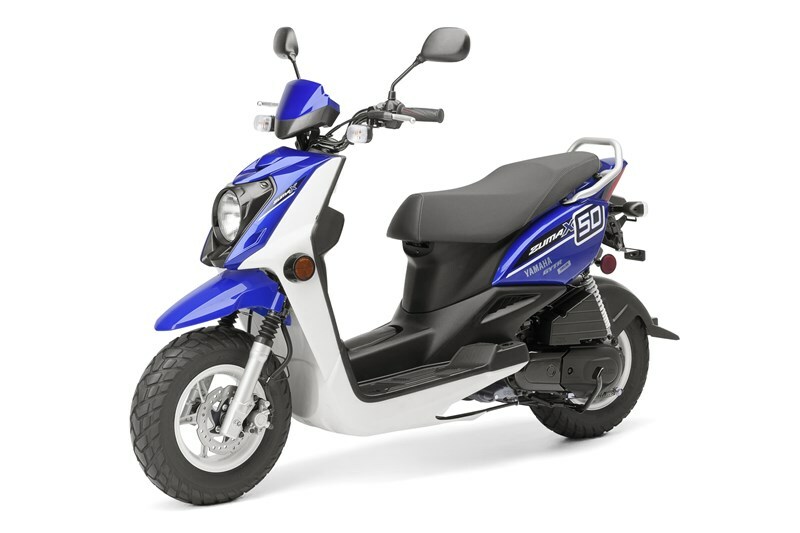 Fuel injection provides smooth, seamless power — and nearly instantaneous starts. 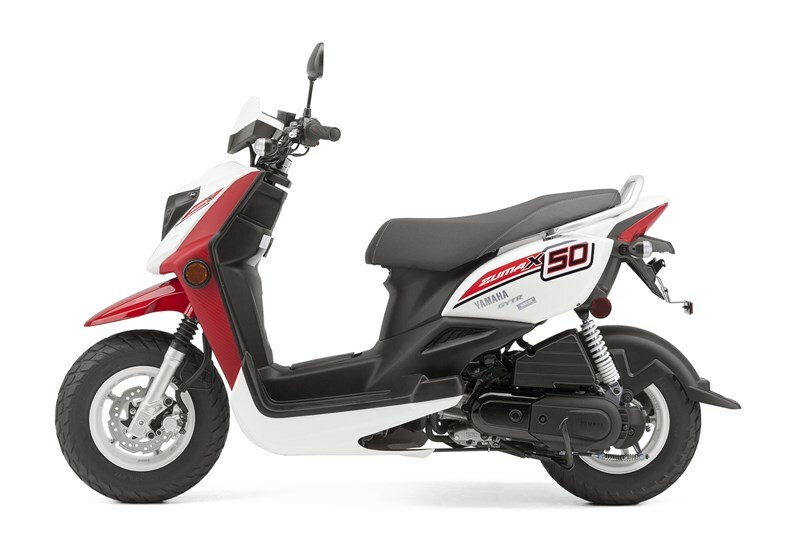 Sporty styling, with a textured seat cover that has colored stitching, wide handlebars and a single headlight enhance the image of the Zuma 50FX. 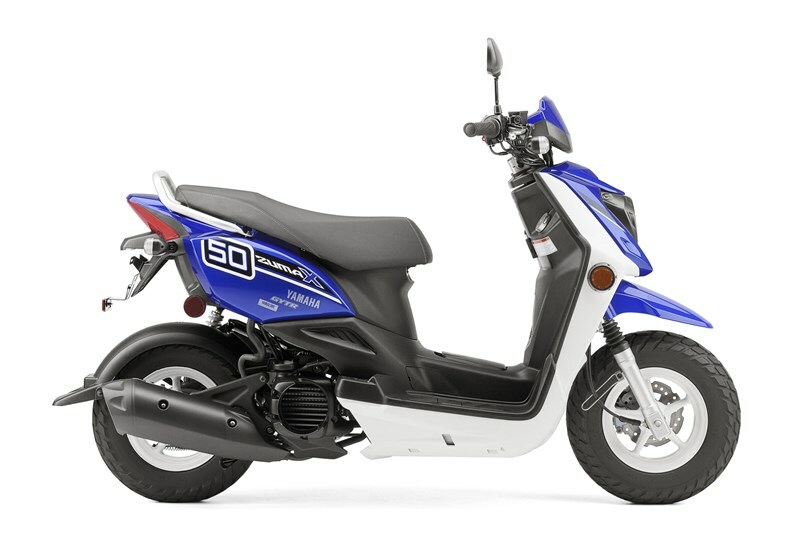 Zuma 50FX's stepped seat provides an open and roomy ride, plus lots of locking storage underneath and added convenience touches like an inner pocket and fold-out hook. 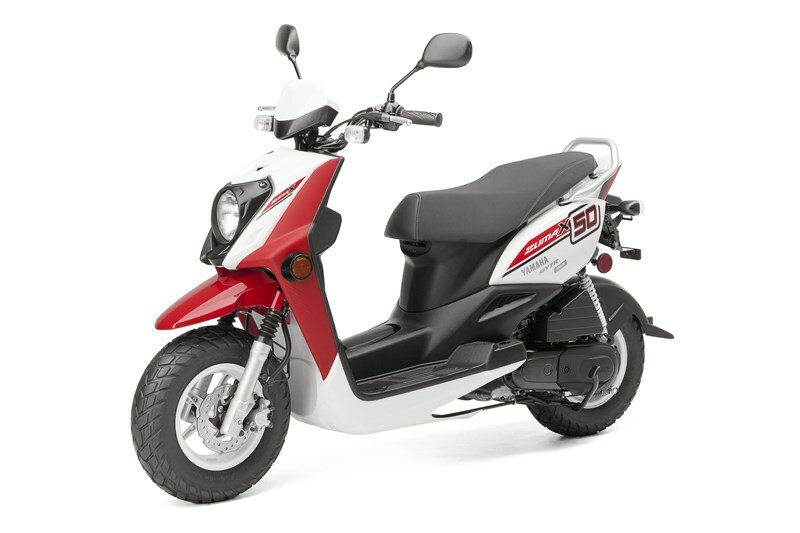 The Zuma 50FX achieves fuel economy up to an estimated 132 mpg* with a fuel tank that holds 1.2 gallons of gas. 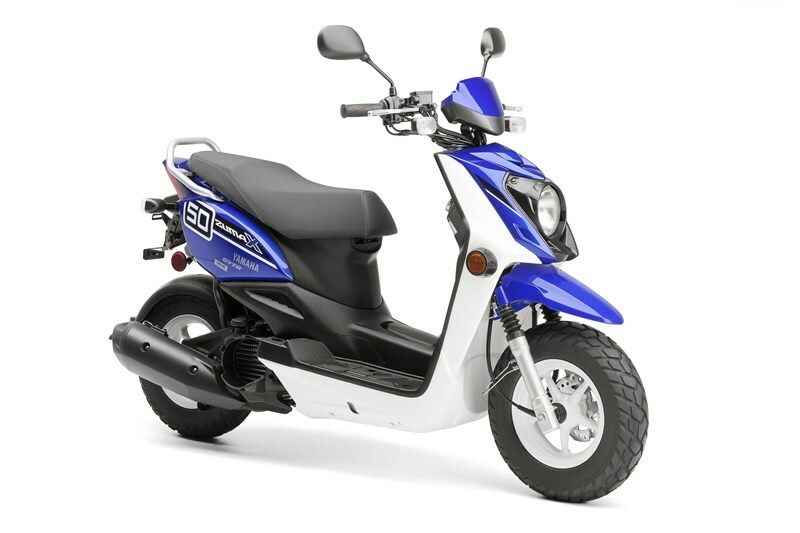 Liquid-cooled 3-valve, 4-stroke engine is powerful, quiet, and low-maintenance. 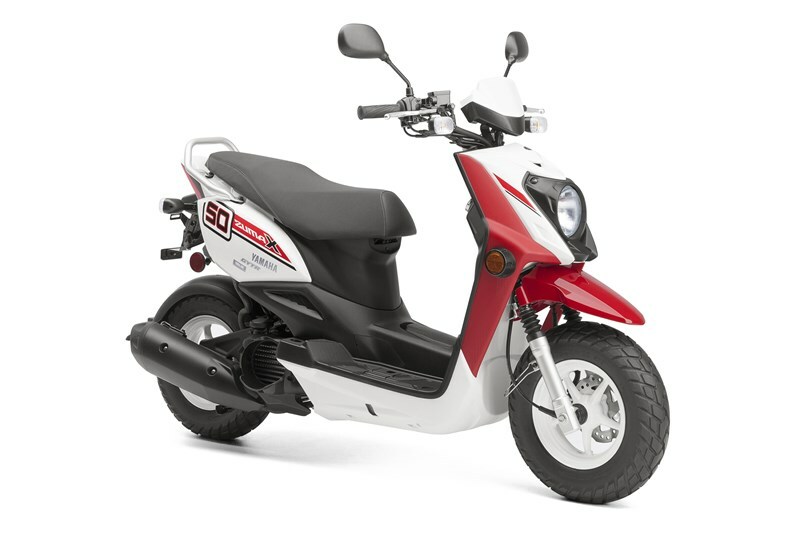 Fuel tank, positioned low in the center tunnel, provides centralized mass and extra convenience – the tank can be refueled without opening the seat, unlike many scooters. Large-diameter, 42mm outer tubes on the front forks enhance the beefy image. 120/90-10-inch fat tires front and rear are designed for impressive look with strong-grip pattern. Wide handlebars with motorcycle-type bar clamps emphasize the sporty motorcycle styling and also make it possible to use accessory bars for a custom look. The under-seat trunk is large enough to hold an XL full-face helmet, etc. (23-liter capacity). A fuel gauge adds to rider convenience. Seat provides a relaxed sitting position. 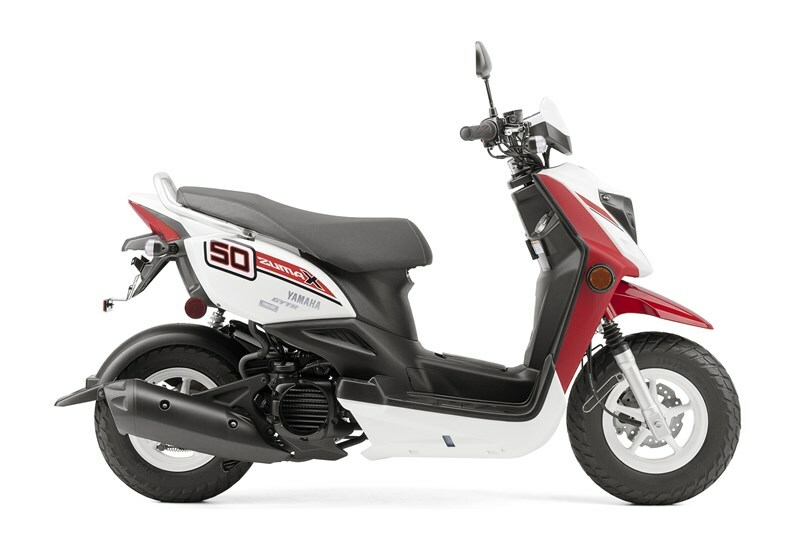 Single headlight design and clear turn signals accents the Zuma 50FX's sporty visual identity.